Let’s Do Brunch | That Yum Factor! Brunch is delightful. You get to fill up on a ginormous meal without feeling as guilty because you can spend the day walking it off. I also want to pretend I give breakfast and lunch an equal opportunity but I know I always show up for some cheese-filled eggs with a side of crunchy bacon. This restaurant is in the Upper West Side of Manhattan and I’d highly recommend you checking it out for a lovely Saturday or Sunday brunch. 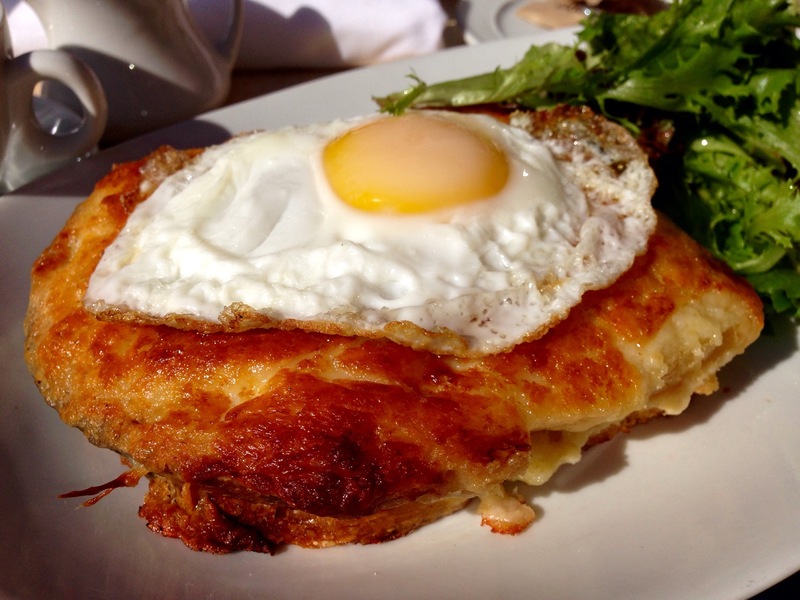 What’s pictured above is their Croque Madame. It’s basically bread that has melted Gruyere cheese all over with a fried egg on top and Black Forest ham in the center. I paired it with a side of creamy polenta. The creamy polenta has a rich flavor of Parmesan cheese and lives up to its name.. It’s quite creamy. Everything from here was just so enjoyable. Fun fact: Chef Andy D’Amico actually was inspired by his visit to Nice, France which is how they came up with the menu selections. Posted in Manhattan - NY, Image format and tagged Upper West Side on October 24, 2014 by thatyumfactor.